In episode 155, Kestrel welcomes Jayde Scukovic, the creative and influencer behind Jayde Archives, to the show. Originally from Australia, Jayde is now based in Switzerland, and she shares travel diaries, light packing guides, and eco living ideas through her blog + Instagram Jayde Archives. She’s also a self-proclaimed #ProudOutfitRepeater and capsule wardrobe addict. In this week’s show, Jayde shares more on her background and how she made her way into the blogging / influencer world. 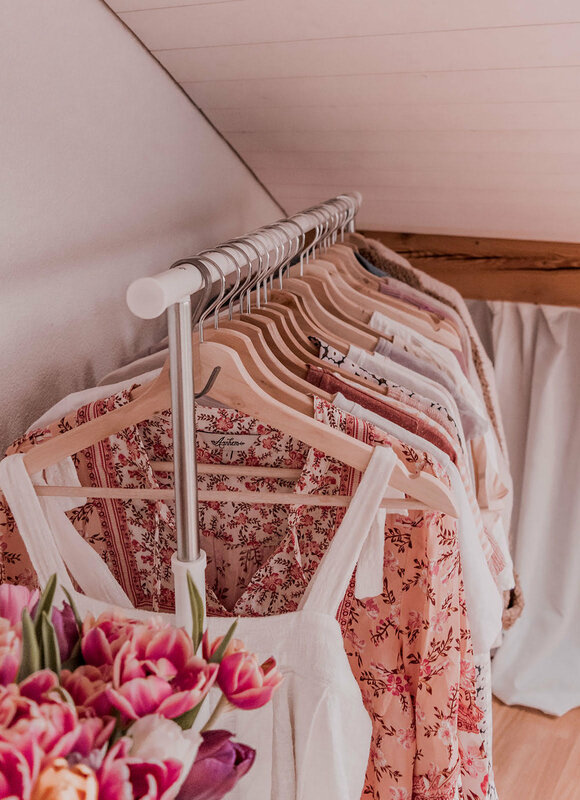 She also shares more on why she loves capsule wardrobes, how less is more, and her push to celebrate proud outfit repeating. For Jayde, the restraints of space + finances first led her toward capsule wardrobes, and that direction helped inspire her to ask more questions about sustainability as well. While I’ve had small sponsors throughout the project, the content is my top priority, not regularly pitching to advertisers. So, I decided to take a tip from the listener supported radio I love + listen to, and integrate that into the Conscious Chatter experience. If you are a regular listener and want to contribute to the future of Conscious Chatter, you can now invest in the show, monthly. Thanks for listening! Subscribe, download, and leave a review for Conscious Chatter on iTunes if you get a chance. I big time appreciate your support!